Can Carpet Really Be Cleaned Using Specialized Water Only? There’s always going to be gimmicks when it comes to sales. And, there’s always going to be a public willing to jump on the bandwagon of all the latest trends. When we created the notion a while back of “leaving carpet free of residue” after cleaning, we were aiming at creating awareness to the fact that it could be cleaned using a system of quality steps. These steps would ultimately leave it completely rinsed and free of any residues from the necessary detergents used in the process. And believe us, it most definitely can be done! The problem, of course, stems from improper administration and application on the part of cleaning technicians who are largely untrained in this relatively new arena of what has come to be known as Residue Free®, along with a couple of other newly patented terms such as Zero Residue®, and No Residue®. Now, EAU Technologies, which is the leading supplier of water electrolysis technology, considers it to be safe and more effective than “chemical alternatives”, along with the FDA. They also state on their website in plain English that “Empowered Water™ leaves little if any chemical residue.” Chemical you say? So, it’s a chemical then? Not trying to get into the specific scientific aspects of this specialized water, and what the claims are for what it can do. But, if it’s so much better for cleaning carpets, and kills pathogens more effectively than traditional chemical cleaning agents, then why would they still need to use pre-conditioners like the rest of the industry pro’s use? Hmm, maybe it’s because their specialized water is simply not good at breaking down and dissolving tough grease and grime like a “surfactant” containing pre-conditioner can. Being an ultra important part of a cleaning process, surfactants allow water-based pre-conditioning agents the ability to go deeper in their penetration of carpet fibers. This makes for a deeper clean. They also have the ability to emulsify greasy soils and oil’s the best. If you think about it they seem to be introducing more chemicals into your home environment than the traditional approach would! Not only does their special water contain a certain degree of chemicals, which they claim to be undetectable once entering the ecosystem, but the chem-based solutions they use do as well. 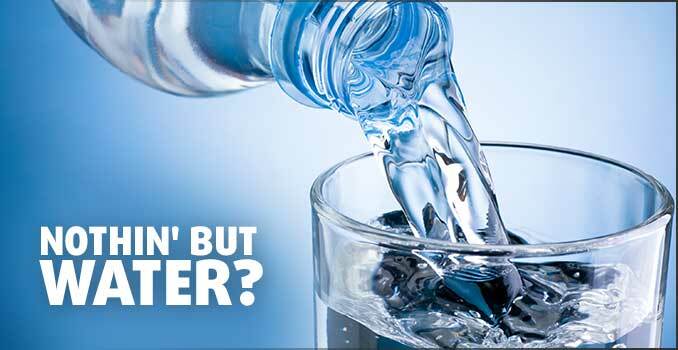 Whatever happened to just using regular naturally occurring H2O without the chemical additives? Regular carpet cleaning detergents kill pathogens just like this power water does. However, the claim based on theory is that their water is able to kill pathogens without creating a resistance to traditional chemicals, which is interesting. But, at the end of the day traditional chemical based cleaning agents are still needed to do the work of emulsifying dirt and grease. The good news is that chemical based cleaners aren’t the only one’s available that can do the job well of emulsifying tough greasy oils. There are green options now that do a really good job of that too. Can They Truly Deliver No Residue® Results On Carpet? What is important to consider now knowing that this company in particular is using pre-conditioners in conjunction with patented water, is whether their technicians have the skill and experience to completely rinse the carpet free of the pre-conditioners used in their cleaning process. Remember, a big franchised operation holds the nasty stigma of low quality results over a locally owned and operated true quality company, simply because it’s harder for them to manage their individual employees work ethic accordingly. If performed incorrectly they can be subjecting you to unwanted harmful chemical residues. Carpet cleaners are notorious for running amuck on carpet, and leaving consumers with highly undesirable results. We know this. Not only do consumers complain about these terrible outcomes, but professionals do as well, because of the bad rep it gives our industry on an ongoing basis. The only option presented in this case is to continue searching until you find the right carpet cleaner. We hope the information herein helps you in your quest. As for the company ZEROREZ®…..The moral of the story is, if you’re going to build your business off our backs and go as far as to patent those terms and threaten us with lawsuits if we use them, yet you are pulling the wool over your customers eyes and using some of the same detergent based pre-conditioners we are, then release the terms for all to use accordingly.